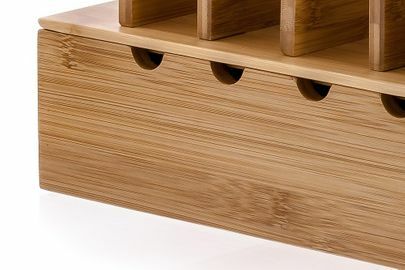 SMART DESKTOP DESIGN DEVICE TRAY: The low-profile design fits easily on desks, kitchen counters and night stands, while the bamboo finish blends with any interior. 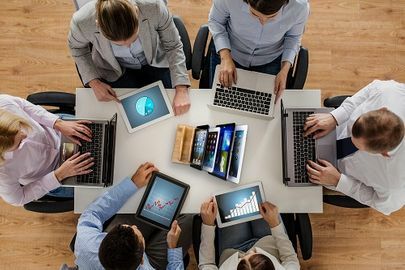 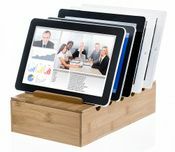 If your digital gadgets are taking over, Prosumer's Choice 5-Device Tablet and Smartphone Bamboo Rack offers a perfect solution for organizing tablets and smart phones and reclaiming that much needed desk or counter space. 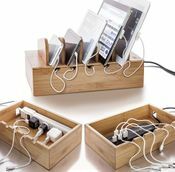 Keep up to five tablets and smartphones organized while hiding power strips and plugs inside this beautiful bamboo case that also includes slots for running and managing cables. 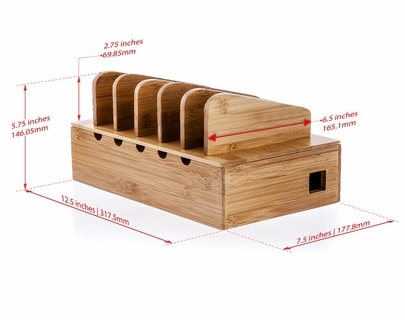 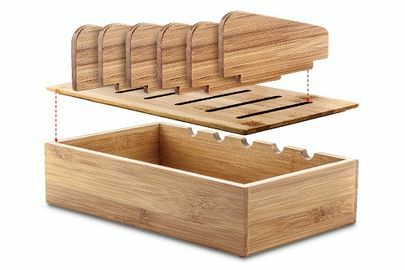 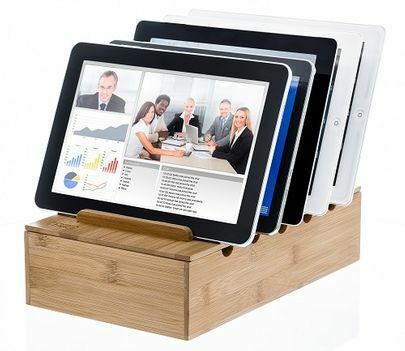 Constructed of beautiful, sturdy bamboo harvested from an FSC Certified forest (Forest Stewardship Council), this versatile tablet and cellphone storage rack is an eco-friendly, space-saving accessory for desks, kitchen counters and night stands. 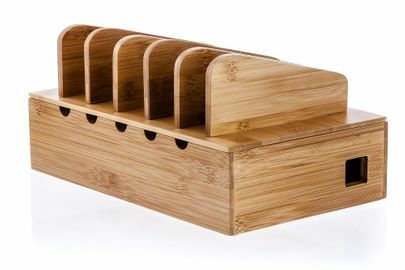 Designed to blend easily into homes and offices, Prosumer's Choice 5-Device Tablet and Smartphone Bamboo Rack includes anti-slip rubber-feet to keep your newly organized charging station secure as well as five hook and loop strips and two adhesive strips to keep wires, cords and charger units in one place.